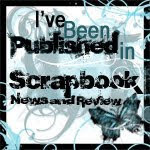 Paper Daisy Dreams: Moving my blog! My Scrapbooking Endeavors and life as I know it. The New PaperScientist Blog is Here! BEEN THERE, DONE THAT, HAVE THE LAYOUT! Guess who was Mark Montano's Featured Friend yesterday? Starting 2012 off with a bang!!! Hope you're having a WONDERFUL summer! Operation...Let's Get that Mojo Back! Naptime + Bedtime = Scrap Time! Its been a while since I blogged but I recently purchased a domain name and have started a new blog. I will be posting all my scrap goodies over there from here on out. As of today, June 20, 2012, its just a start but hopefully there will be more content soon as I have lots of scrapping plans for my vacation in two weeks! 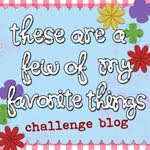 I frequently make several blog posts a day! If you would like to see everything, make sure you scroll down a few posts! !